Introducing Our Newest PHB Family Member: Kassim Osgood! 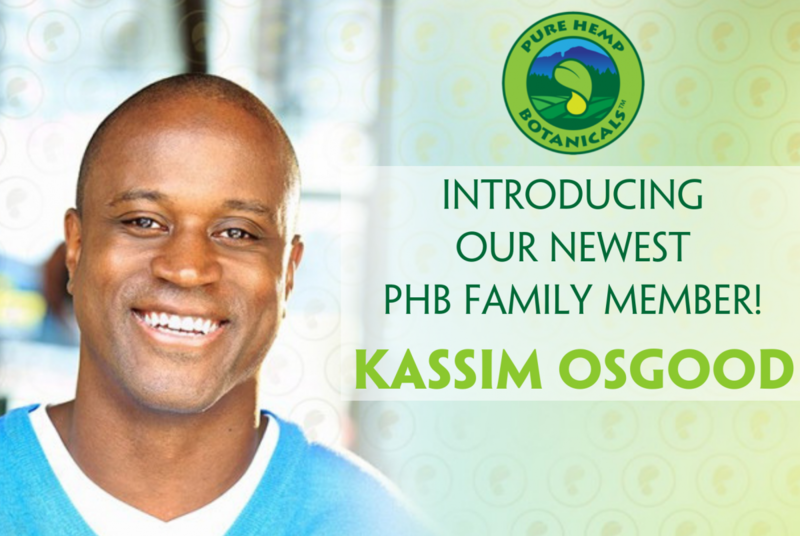 Home/About Us, Healthy Lifestyle, Pain Relief, Video/Introducing Our Newest PHB Family Member: Kassim Osgood! In this interview Kassim talks about turning to CBD for many of the side effects from being an elite athlete. Today Kassim is an advocate for the many health benefits of cannabis particularly for retired athletes whose only other alternatives are opioid based treatments. As the science behind cannabis treatments advances, he is adamant about using products that take special care to insure pure quality ingredients and consistent manufacturing from seed to sale. For this reason he has turned to Pure Hemp Botanicals as a fully vertically integrated product company that oversees every step of the process in creating quality CBD based products.